Hello! 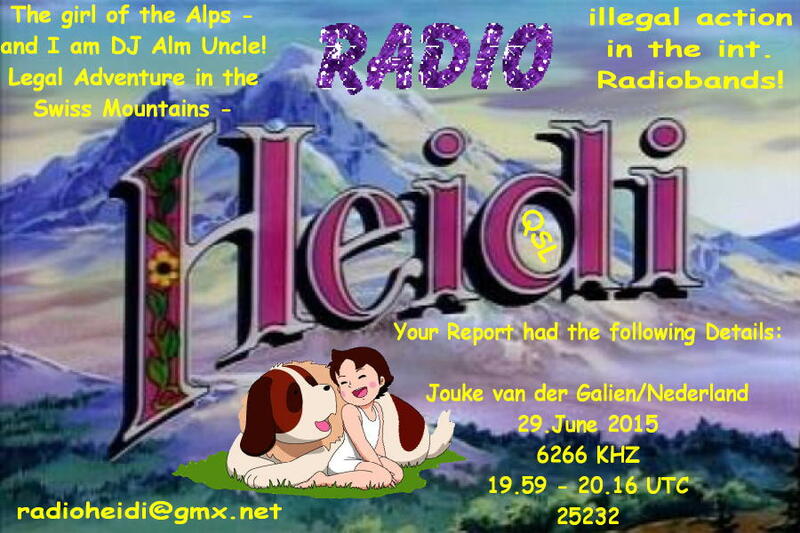 Please find enclosed my reception report of your broadcast. 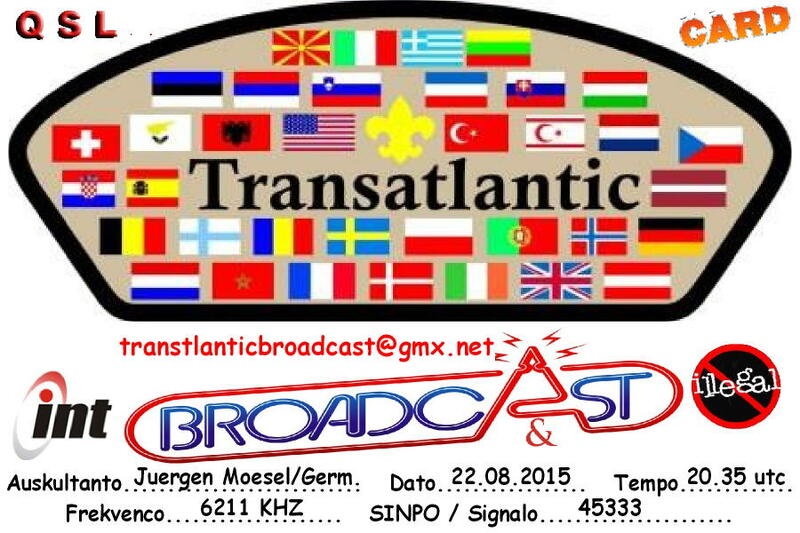 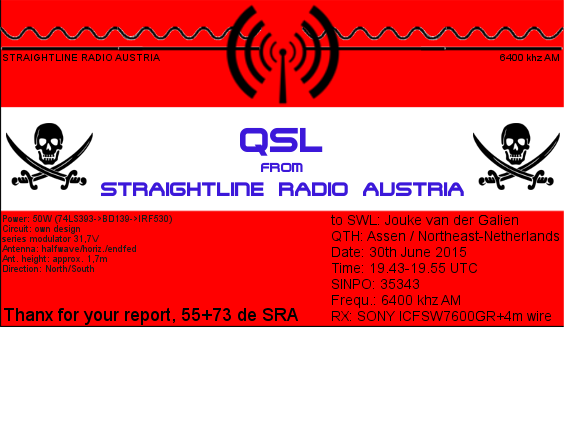 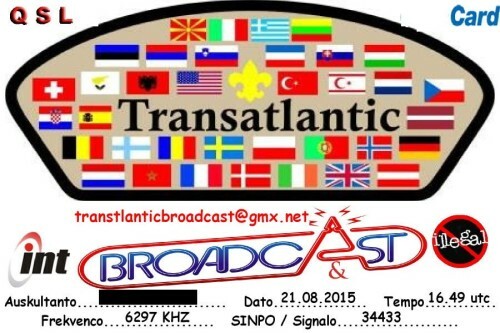 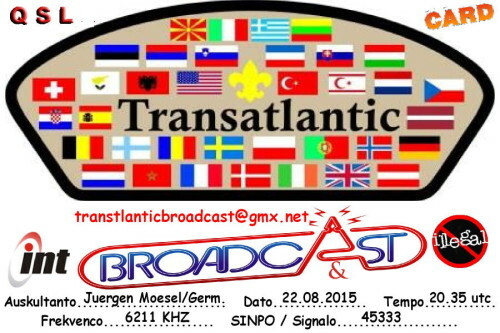 Please confirm my report with your QSL-card / QSL-letter. 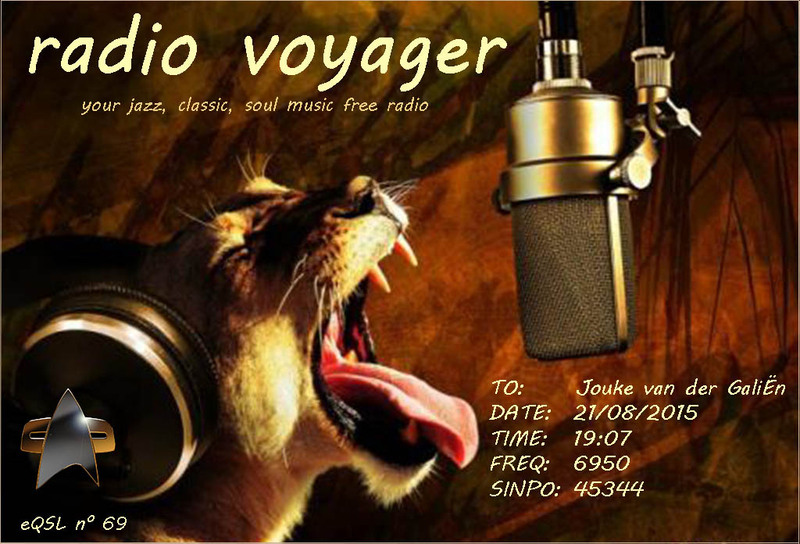 Thank you very much and I hope to hear your programme again. Greetings Juergen (Thanks Juergen)! 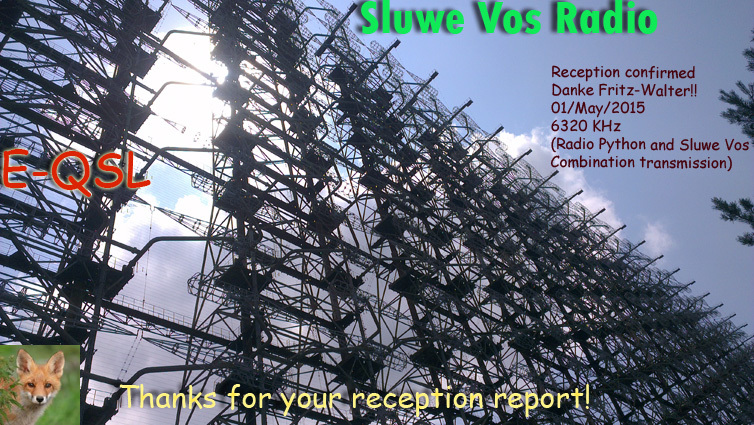 Dear Madames/ Sirs/ RADIO HEIDI, Here a reception report, after receiving your station in ASSEN , Northeast-Netherlands, with a portable SONY ICFSW7600GR+ telescope antenna & 4m wire. 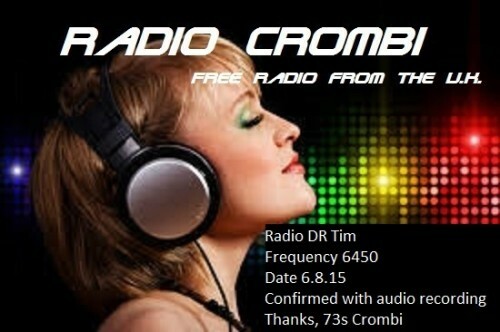 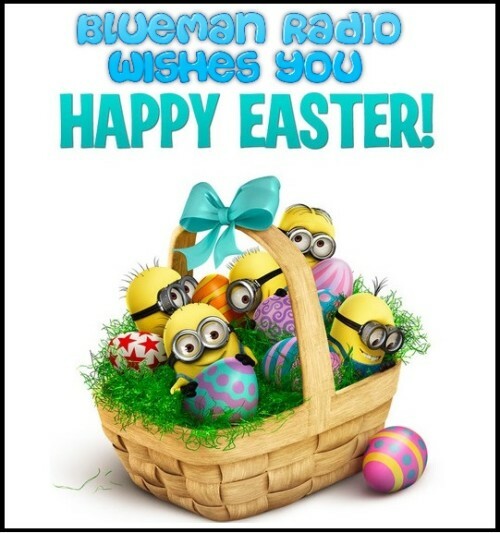 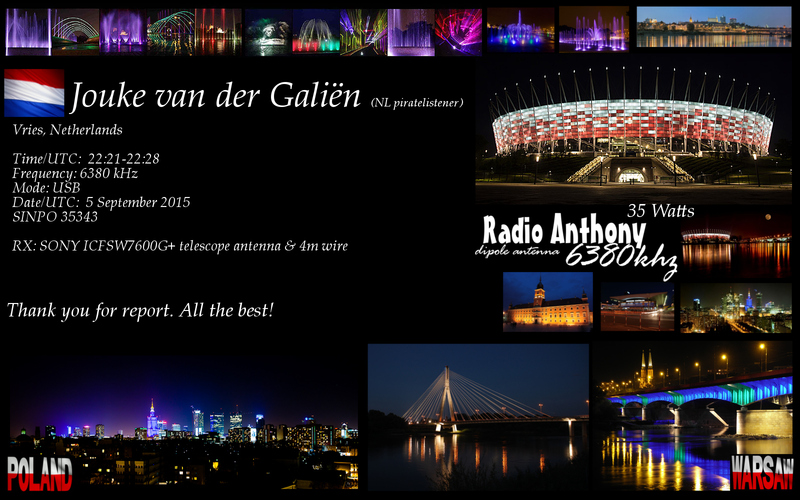 Because I am a radio-fan, I would appreciate a confirmation of this reception with a QSL-card. 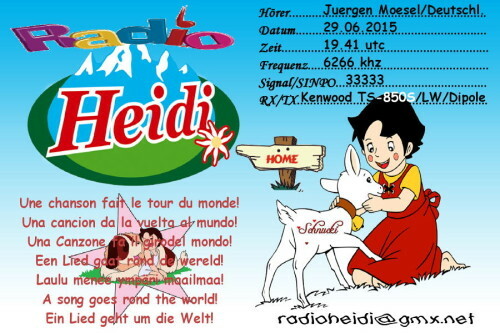 Sie betrachten Weblog Archive vom März, 2016.